Stephanie Perry Moore is a Christian fiction novelist that is truly from the South. She was born in South Carolina, raised in Virginia, educated in Alabama, and now resides in Georgia. She has penned over 35 inspirational titles set in this part of the country. She considers it an honor and a calling to write for the Lord. 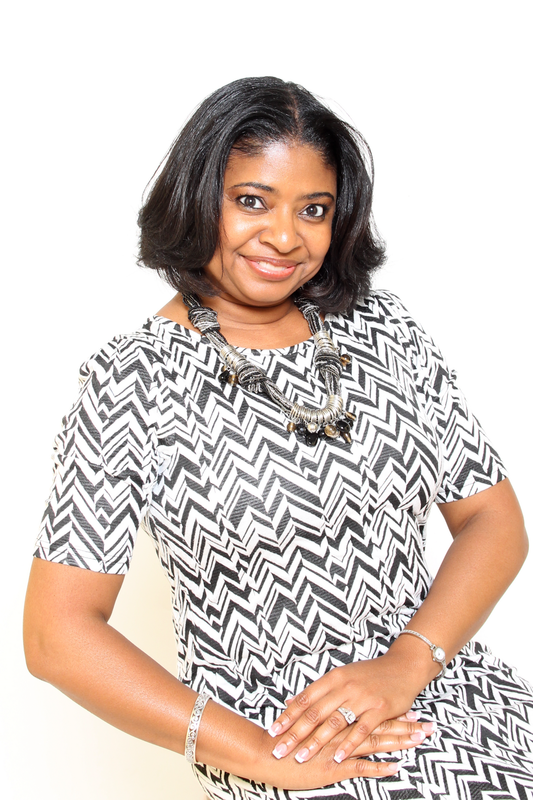 Mrs. Moore is the trailblazing author of the Payton Skky series, the first African-American Christian teen series. Her other young adult titles are the Laurel Shadrach series, the Carmen Browne series, the Perry Skky Jr. series and Faith Thomas ‘NovelZine’ series. The sassy, urban collegiate Beta Gamma Pi series and the hip, teen Yasmin Peace series were released in 2009-10. Her newest series is the adorable Morgan Love series. She and her husband released the Alec London series for kids in the fall of 2011, and last month, (January 1, 2015) her new series “The Swoop List” launched with Darby Creek Publishing. Though am blessed to have been published for the last seventeen years, my journey to getting my first book published was long and tedious. After I wrote my first draft, felt I’d polished it and prayed over it, I excitedly began trying to get published. I tried to get an agent at first and that brought me rejection, after rejection, after rejection. Not wanting to give up, I sent out the manuscript to companies on my own. (Nowadays it’s much easier as the web gives access to submission guidelines.) However, back in those days I had a book with addresses of where I had mailed over copies of my submission to several companies. More rejections, nos, and I’m sorrys came my way. I heard everything from black kids don’t read to black parents buy everything for their children but never books. I felt worthless. Staying down wasn’t an option. My dream wanted to soar. I had to keep myself pumped up, revise my work, and stay prayed up. Thankful my husband was my biggest fan. He was playing in the NFL at the time and mentioned everywhere he went to speak on behalf of his team that I had written a book for youth. Just as I was about to give up after seven years of trying to get published, the Lord showed up and one of the contacts my husband made called him and asked to have me send in my novel to them. That company was Moody Publishers and thanks to an African-American secretary who was asked to read the book to access if it was relatable and publishable. Thankfully her answer was very favorable and thus my first title in the Payton Series, Staying Pure was born. God gave me the vision and in His time be opened the door that thus far He hasn’t closed. My editor at Lerner was pleased with how I’d done with the Sharp Sisters series. We had a discussion on new ideas. He mentioned he needed something more edgy, but still with a message. I became super excited about this idea I had for a series called The Swoop List. I visited a rural school two years ago and was told about this list that had literally just been released at this particular school. I’d never heard of The Swoop List, but that day I was informed. I learned it’s another form of bullying and in many cases people who are placed on The Swoop List, THOT list or Expose Page, and other names for the same thing, do not deserve to be there. Just people ‘hatin’ as the young people say. I had a heavy heart hearing about the list so I researched it. A spark went off when I realized I could create a fun series around this tough, real topic that could make a difference. The message is simple. Teen life can be hard, but you can make it through victorious. Here are the points to the five books. Book 1-GIVE IT UP…In order to be great you can’t get in your own way, so give up doing things that bring you down. Book 2-ON YOUR KNEES…If one wants to be a better person, get some faith. Book 3-BACK THAT THING…To get things on track sometimes we have to back up and fix our mistakes. Book 4-FEEL REAL GOOD…If you want to be truly happy, then you need to give back and help others as it’s not all about you. Book 5-SIT ON TOP…A true leader forgives and brings out the best in all those around them. I hope The Swoop List swoops in and helps readers become better, stronger, and wiser people by learning what is meant for bad can turn out good. What truly inspires me are people. I want to please the Lord. I am motivated to be a difference maker in the literary field for urban youth. I get excited to work hard for my children. In particulary, there are three key people who enabled me to accomplish much, my wonderful parents and my supportive husband. The things I learned from the three of them I know can help any young writer. My fun-loving dad showed me how to dream big. “Without a vision you will perish,” he quoted. For any young writer, think about what you want to write and know you won’t stop until you reach that goal. My strong mother taught me about work ethics. “Nothing is going to come easy. You must work hard for the things you want,” she said. To the young writer, write all the time, and do what is necessary to acquire the skills to be the best writer you can be. And specifically to students of color, I’d say do not get caught up in the distractions around you. Work daily to be better than the day before. Read, read, and read some more. Grow your vocabulary and do not be intimated by words not used around you. Make right choices and do not feel because you’re called a minority that you can’t be just as dynamic as anyone else. Oh the process of writing for me is super fun. I love creating new worlds and exploring deep characters. I start with the big idea. I then move to the detailed outline of the series. If I’m under contract on a series I get the editor’s sign off on the outline of each title. (I write my series in five books.) Once we are on the same page, I used to talk into a handheld tape recorder. Just last week I switched to talking into my iphone. After I have a full chapter, I send it to one of my assistants to transcribe and then send back. Upon receipt of the typed version, I begin editing the chapter. I then have another dynamic assistant that I send for proofing. When I get it back the second time I reread and revise again. After several polishes I have a full manuscript. Check out this video of THE SWOOP LIST series! Thank you, Stephanie Perry Moore, for your contributions to children’s literature! I watched my non-reading niece EAT UP Stephanie Perry Moore books, and then write her own sprawling epics. I am a believer in the power of a good book to really move a reluctant and disinterested and not particularly religiously inclined reader. Ms Moore made a difference, and I’m always pleased to see what’s new from her.